PERSPECTIVE… the way you choose to view the world! CHOOSE being the key word in this definition… it’s a CHOICE. You can go out and see beauty and opportunity in some part of everything or you can choose another perspective. I guess this is one of the reasons I love photography as it helps me look for the good and beauty in everything I pass – it helps me truly ‘see’. Photography has made me approach people with not only more open eyes but a heart that is more open to seeing things from another angle or perspective and to inspire others to see the same, make the shift or at least try! 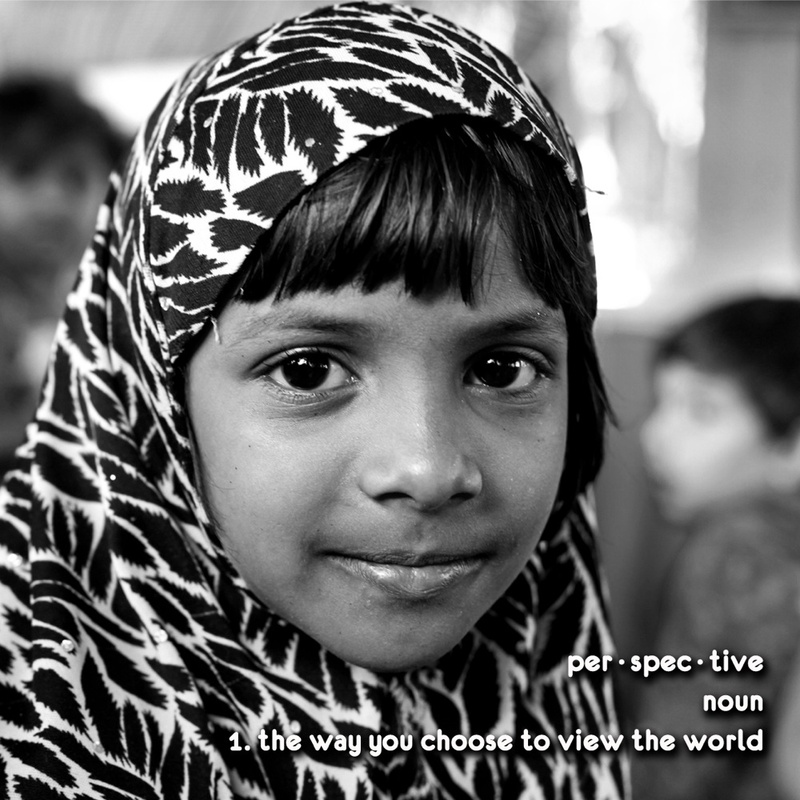 The image from April on the Calendar is of a beautiful young Muslim girl from Malad East Slum in Mumbai India. An incredibly poor slum area but you wouldn’t know this from viewing the image I don’t want to highlight the fact that she is from an incredibly poor slum area but the fact that from this image and looking at her you wouldn’t know any of this. 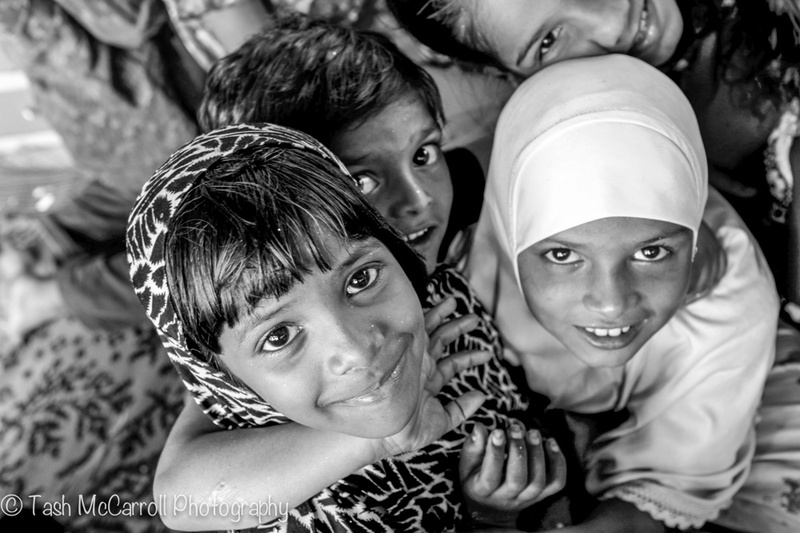 The picture was taken on an old bus (see attached shots) on the edge of the slum area that has been converted into a classroom in order to enable these children to attend school. 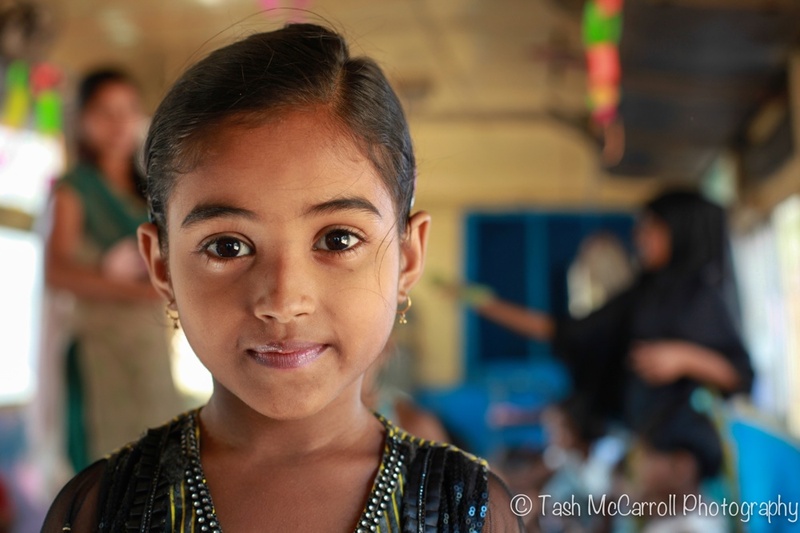 Around 40-50 children from the area are able to attend a school on the bus which for many may be the only education opportunity they have in their lives. 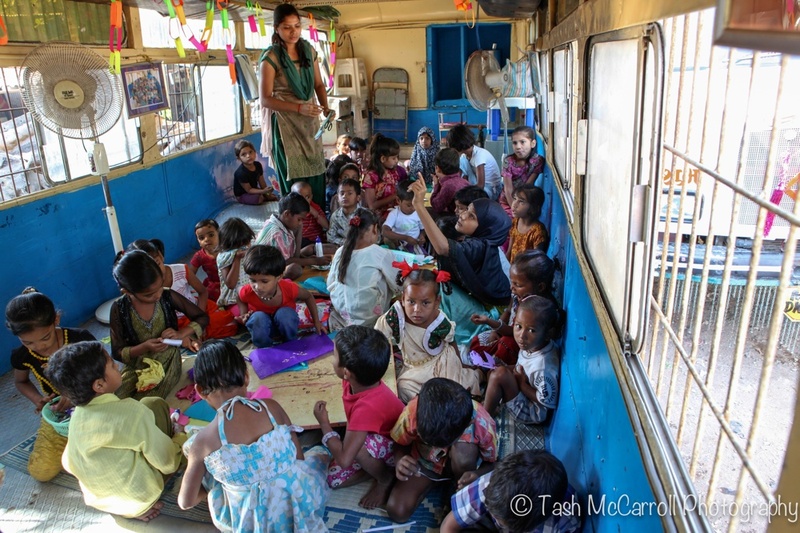 Supported by a local NGO Called ‘Un Toit A Bombay‘ translates to a ‘A roof in Bombay’ and this is what they do, give opportunity and a roof (in another building) for children to come and do their homework, wash, eat and play together in a safe environment. When I stepped onto the bus for the visit it was buzzing with excitement, wide eyes and smiling faces. Children genuinely happy to be in a school of any sort, no complaints just getting on with it.